What is the Discover National Parks Event? The Discover National Parks event takes place from 6th to 21st April 2019. It’s an annual celebration of the United Kingdom’s National Parks. Although the Lake District as a National Park was established in 1951, it wasn’t declared an UNESCO World Heritage Site until 2017. As such, the nation-wide celebration of the UK’s landscape has become all the more important. With the National Parks and Access to the Countryside Act having been put into action in 1949, this year’s event celebrates its 70th anniversary. As such Discover National Parks, 2019 sets out to really put our beloved countryside on the global map. After all, with such amazing scenery in Windermere and beyond, who wouldn’t want to shout about it? 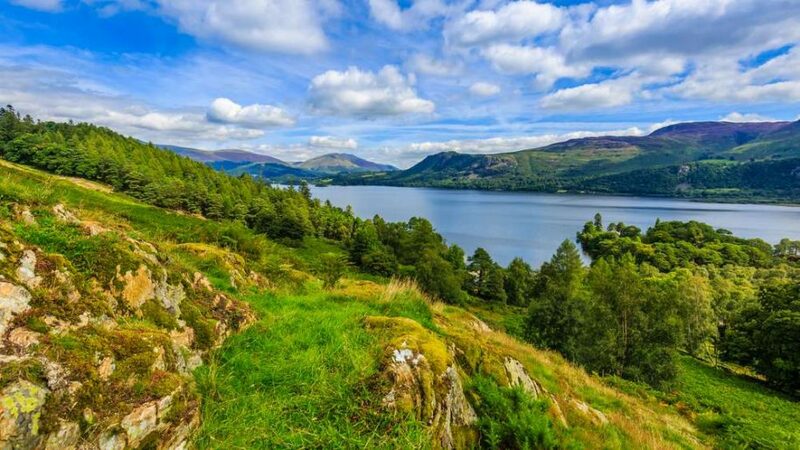 The Lake District isn’t alone, in fact, there are 15 National Parks recognised in the UK. The Peak District was the first of such, shortly ahead of the Lake District, albeit the same year. The most recent addition to the list, is that of the South Downs, while the largest is the Cairngorms in Scotland. While the Cairngorms is over a staggering 2,800 square miles, in contrast, the Broads being just 124 square miles. Whichever of the 15 National Parks you’re thinking of visiting though, there’s always going to be plenty to see and do. So why not book a package break in the Lake District and see all that Cumbria has to offer. If you book a package break in the Lake District, then make the most of the beautiful countryside. Especially if you are visiting over the next couple of weeks, in the build-up to the Easter Bank Holiday. There are all the regular Lake District activities, including a trip on Lake Windermere or a day out at Muncaster Castle. However, the 2 weeks during the Discover National Parks 2019 event, there are a number of special events. One of the most spectacular ways to experience the Lakes, of course, is on foot by joining a guided walk. It’s no surprise that there are a number of special guided walks in April. In fact, there are 26 specially curated for this year’s celebrations. During your package break in the Lake District, it’s worth visiting Brockhole, home to the Lake District Visitor Centre. It’s not far from you’re Windermere Spa Suite and hot tub either, given it’s along the shores of Windermere itself. Another reason the fortnight is so important to the Lake District National Park is the 18th April 2019 marks UNESCO World Heritage Day. It’s a time of the year when the Lakes finally get the global recognition they deserve. Putting the Lake District up there with the likes of the Taj Mahal, Galapagos Islands and the Great Barrier Reef. Book a weekend package break in the Lake District at the Windermere Boutique Spa Suites. There are 3 spa suites to choose from, each with their own hot tub.